I remember watching my aunt take medication for high blood pressure and high cholesterol. She was convinced that taking these pills meant she no longer had those medical issues. And because she was “healthy” while on these medications, she was not interested in discussing her diet or her lifestyle - until she had the heart attack that almost killed her. My aunt’s heart attack was caused by two major blockages in her heart vessels, one was 90% blocked the other 70%. Her doctors placed a stent to open up the bigger blockage and planned for her to return a few weeks later to place the second stent. Upon her release, I got the call. This is one of my favorite questions as a doctor because the answer is a resounding “yes”! But, before we could get into diet and lifestyle changes, I wanted to make sure she understood why she had her heart attack despite being on medications to lower blood pressure and cholesterol. So, we talked plumbing. Our blood vessels are like pipes and the blood that runs through them should be thin, like water. When we eat fatty, greasy, processed foods we make that water thicker and more sluggish, unable to deliver oxygen and nutrients as efficiently. But even more importantly, over time this slow-moving sludge damages, and allows deposits to rest and build up on, our pipe walls. Doctors, like plumbers with Drano, use medications and procedures to open the pipes, but often only temporarily. As long as we continue to eat the same fatty, processed, greasy foods that clogged our pipes in the first place, they will inevitably get clogged again – it is only a matter of time. So, the answer is not in finding short-term fixes, but in truly searching for a long- term solution that cleans out the pipes and keeps them clean for good. When most people first hear this, including my aunt, they immediately picture a diet of rabbit food, salads, steamed vegetables and a lifetime of deprivation. Luckily for them, they couldn’t be further from the truth, which is exactly what my Aunt discovered as she explored a Whole Foods Diet. The choices were vast and the foods delicious. My aunt was eating oatmeal fruit bars or pancakes for breakfast; vegetable sushi, minestrone soup, or pita pockets stuffed with hummus and salad for lunch; and eggplant parmesan or black bean burgers for dinner. After 3 weeks, my Aunt returned to get her second stent placed. My uncle describes that morning as scarier than the day she had her heart attack. Waiting in the family room, he watched as nurses went back and forth from her room, bringing out equipment and transporting in new equipment. Panicking, thinking that something had gone terribly wrong, he stopped one of the nurses to ask what was happening. The nurse told him that my aunt’s blockage went from 70% to 40%. The medical staff was shocked and suspected their equipment was faulty so they were bringing in new equipment to check again. My aunt’s news thrilled me personally as I was happy to hear she was well on her way to becoming truly healthy. Professionally, it was also rewarding. By becoming a Whole Foodie, one more person made the choice not to succumb to our number one killer, heart disease. 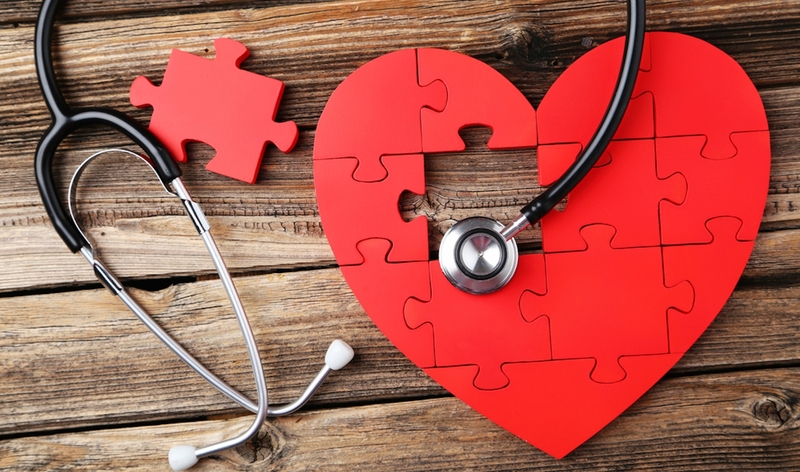 It is estimated that 1 in 3 deaths in the U.S. each year is caused by heart disease and stroke (CDC.gov). Many, if not most, of these deaths could be prevented with diet and lifestyle changes. Of the preventable deaths, more than half occur in people under the age of 65 (CDC.gov). Those people who have switched to a Whole Foodie lifestyle have benefited from disease prevention while also witnessing its reversal. If you knew there was a possibility to prevent your own heart attack, or that of a loved one by becoming a Whole Foodie, wouldn't you be curious to at least learn more about it? Buy The Whole Foods Diet if you haven’t already! Try our 28 day Eat Real Food Plan in the book. Join our meal planner and get delicious recipes that will keep you thriving. And stay tuned for more on how you can become and stay a Whole Foodie for life! The resources available to you and your loved ones are bountiful and, like my aunt, they can be truly life saving.